A good yield from aquaculture farms depends on two important factors. One is the environmental parameters in the farms and the other is the health of cultured animals. Bioclean® Aqua is a complete aquaculture product designed to encompass both these factors. It is a multi-pronged approach ensuring maximum yields per acre of aquaculture farm. Bioclean®Aqua has a range of microbes which consume ammonia and phosphate along with toxic compounds entering the water body. These bacteria can use ammonia and phosphate rapidly before algae has a chance to start utilizing them and growing. Hence, Bioclean®Aqua retards algal growth and protects the pond from oxygen deprivation. Bioclean® Aqua specialize in degrading toxic compounds without putting load on oxygen levels in water. This unique feature of Bioclean® Aqua organism separates it from ordinary microbes present in the environment. Rapid utilization of ammonia lets aquaculturists have high stocking rates. These bacteria also have anti-pathogenic characteristics killing any pathogens present in water. Bioclean® Aqua has a well established anti-Vibrio effect. Fish and shrimp growing in pond treated with Bioclean® Aqua are found to be free of brown blood disease. Probiotic microbes formulated in Bioclean® Aqua have enhanced ability to break down complex feed molecules into simple nutrient substances. These pre-digested nutrients are readily absorbed in the gut of aquatic animals. 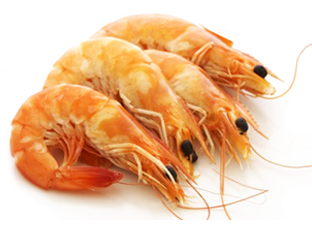 The compound effect of Bioclean® Aqua is the growth of healthy and full-sized cultured aquatic animals.